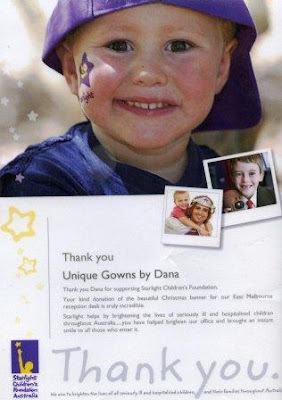 Unique Christening Gowns: A lovely surpise from Starlight Foundation ! A lovely surpise from Starlight Foundation ! I received a surprise in my mail today ! I would like to share this quite unexpected parcel with you. Here it is - this very lovely certificate and the Starlight Foundation pin are appreciation of my very small Christmas gift . I am speechless, really !